You're gonna fall in love with these earrings! 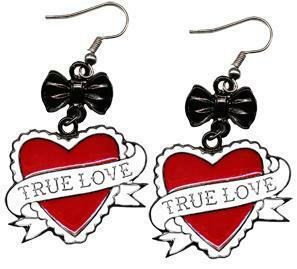 This pair of lightweight heart shaped earrings have a banner with "True Love" written in it & a black bow charm. Lead & Nickel free.